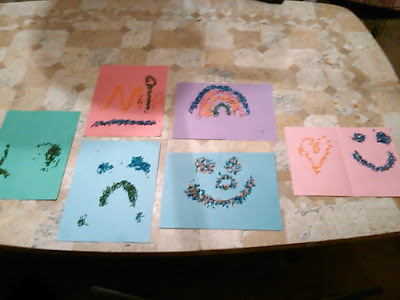 In our grand return we introduce a very cheap and simple art project, all you'll need is some white rice, a pack of food coloring, glue, and some paper. 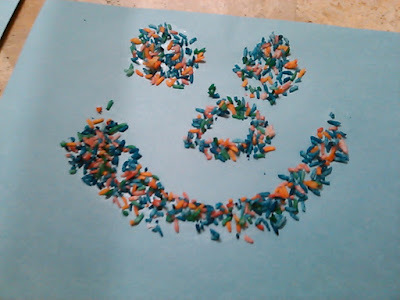 Lay out some paper, then spread glue where you want the rice to stick and create your work of art! 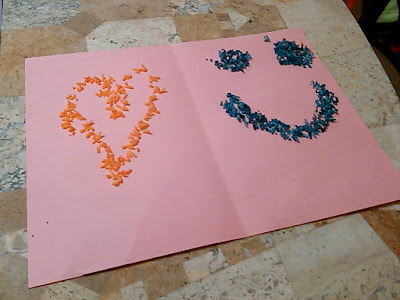 This is a great activity for all ages. If the young ones happen to eat some of it, well, white rice goes well with anything, including art! enjoy! !